The constantly growing cost of energy has pushed scientists and engineers to create a new type of heat generator - a condensing boiler. When installed in a low-temperature heating system, a condensate condenser can show an efficiency above 100%. How do you achieve this? 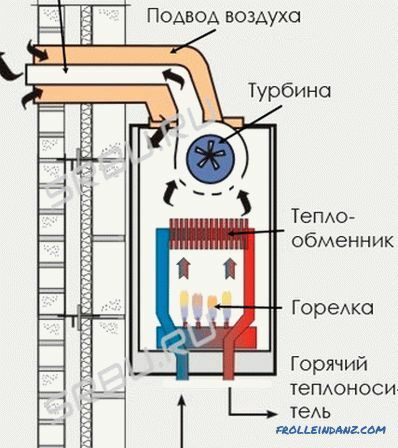 What is the principle of operation of a condensing gas boiler? What are its advantages and disadvantages? After reading our article, you will learn about it all or almost all. A condensing boiler is the younger brother of the most common gas-fueled convection boiler. The principle of the latter is extremely simple, and therefore understandable even to people who are poorly versed in physics and technology. The fuel for a gas boiler, as its name implies, is natural (trunk) or liquefied (balloon) gas. During the combustion of blue fuel, as well as any other organic matter, carbon dioxide and water are formed and a large amount of energy is released. The released heat goes to heat the coolant - technical water circulating through the heating system at home. The efficiency of a gas convection boiler is ~ 90%. This is not so bad, at least, higher than that of liquid and solid fuel heat generators. However, people have always sought to bring this figure as close as possible to the cherished 100%. In this regard, the question arises: where do the other 10% go? The answer, alas, is prosaic: fly into the pipe. Indeed, the products of gas combustion leaving the system through the chimney are heated to a very high temperature (150-250 ° C), which means that 10% of energy lost by us is spent on heating the air outside the house. Scientists and engineers have long been looking for the possibility of more complete heat recovery, but the technological embodiment of their theoretical developments was found only 10 years ago, when a condensing boiler was created. What is its fundamental difference from the traditional convection gas-fired heat generator? After working out the main process of burning fuel and transferring a significant part of the heat released to the heat exchanger, the condensate condenses the combustion gases to 50-60 ° C, i.e., to the point when the process of water condensation begins. Already this is enough to significantly increase the efficiency, in this case - the amount of heat transferred to the coolant. However, this is not all. At 56 ° C - at the so-called dew point - water passes from a vaporous state into a liquid, in other words, condensation of water vapor occurs. At the same time, additional energy is released, at one time spent on the evaporation of water and in ordinary gas boilers it is lost together with the volatilizing vapor-gas mixture. The condensing boiler is able to “pick up” the heat generated in the process of condensation of water vapor and transfer it to the coolant. Manufacturers of condensing-type heat generators invariably draw the attention of their potential customers to the unusually high efficiency of the devices they manufacture - above 100%. How is this possible? In fact, there is no contradiction to the canons of classical physics. Just in this case, use a different system of calculations. Often, estimating the efficiency of heating boilers, it is calculated how much of the released heat is transferred to the coolant. Heat, "taken" in the ordinary boiler, and heat from the deep cooling of the flue gases will give a total of 100% efficiency. But if we add here also the heat released during the condensation of steam, we will get ~ 108-110%. From the point of view of physics, such calculations are not entirely correct. When calculating the efficiency, it is necessary to take into account not the released heat, but the total energy released during the combustion of a mixture of hydrocarbons of a given composition. This will include the energy expended on the transfer of water into a gaseous state (later released in the process of condensation). It follows from this that efficiency, exceeding 100%, is just a cunning move by marketers exploiting the imperfection of an obsolete formula for calculating. 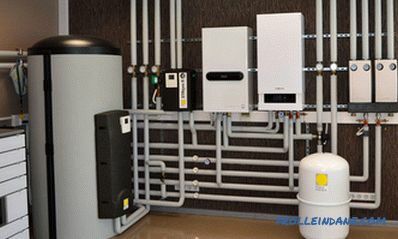 Nevertheless, it should be recognized that, in contrast to a conventional convection boiler, a condensate boiler can “squeeze” everything or almost everything out of the process of burning fuel. Positive points are obvious - higher efficiency and lower consumption of fossil resources. a pump that circulates water in the system. In the primary heat exchanger associated with the combustion chamber, the evolved gases are cooled to a temperature substantially higher than the dew point (in fact, conventional convection gas boilers look like this). Then the smoke mixture is forcibly sent to a condensation heat exchanger, where it is cooled further to a temperature below the dew point, that is, below 56 ° C. In this case, water vapor is condensed on the walls of the heat exchanger, "giving up the latter." Condensate is collected in a special reservoir, from where it flows down the sewer. Water playing the role of coolant moves in the opposite direction to the vapor-gas mixture. Cold water (heating water return) is preheated in a condensing heat exchanger. It then enters the primary heat exchanger where it is heated to a higher temperature set by the user. Condensate is, alas, not pure water, as many believe, but a mixture of dilute inorganic acids. The concentration of acids in the condensate is low, but given the fact that the temperature in the system is always high, it can be considered an aggressive liquid. That is why the production of such boilers (and primarily condensation heat exchangers) uses acid-resistant materials - stainless steel or silumin (aluminum-silicon alloy). The heat exchanger is usually cast, because the welds are a vulnerable point - this is where the process of corrosive destruction of the material begins. The steam must condense on the condensing heat exchanger. Everything that went on into the chimney, on the one hand, is lost to heating, on the other - it has a destructive effect on the chimney material. It is precisely because of the latter reason that the chimney is made of acid-resistant stainless steel or plastic, and a small slope is attached to its horizontal sections so that the water formed during the condensation of insignificant quantities of steam, which still get into the chimney, is drained back into the boiler. It should be taken into account that the flue gases leaving the condensate are cooled strongly, and anything that does not condense in the boiler will necessarily condense in the chimney. At different times of the day, different amounts of heat are required from the heating boiler, which can be regulated using a burner. The burner at the condensing boiler can be either modulated, that is, with the possibility of a smooth power change during operation, or unmodeled - with a fixed power. In the latter case, the boiler adjusts to the requirements of the owner by changing the frequency of the burner. 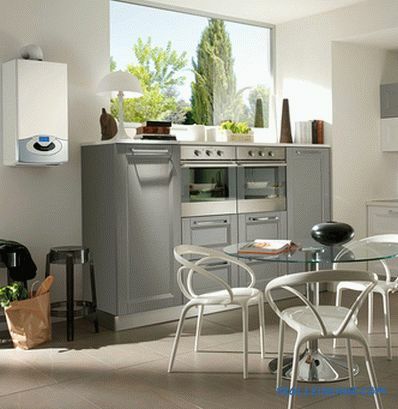 Most modern boilers designed for heating private houses are equipped with simulated burners. So, we hope you got a general idea of ​​what a condensing boiler is, how it works and on what principle it works. 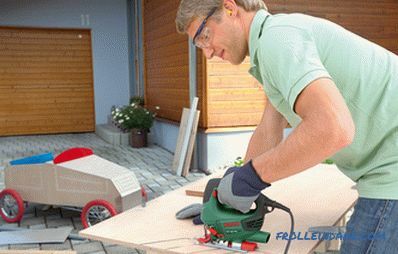 However, most likely, this information will not be enough to understand whether it is worth it for you to purchase such equipment. To help you make this or that decision, we will tell you about all the advantages and disadvantages, advantages and disadvantages of a condensing boiler, comparing it with a traditional convection boiler. Fuel economy compared to a conventional convection boiler, it can reach 35%. The reduction of harmful emissions during the transition from traditional gas to condensation models is estimated at an average of 70%. 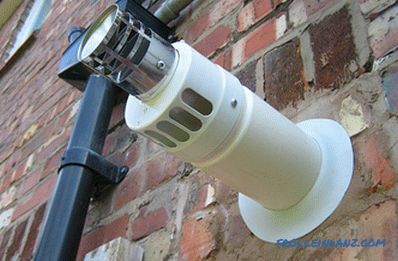 The low flue gas temperature makes it possible to install plastic chimneys that are significantly cheaper than classic steel ones. Low noise increases the comfort level of people living in the house. Let's talk about some of the listed advantages of condensing boilers in more detail. 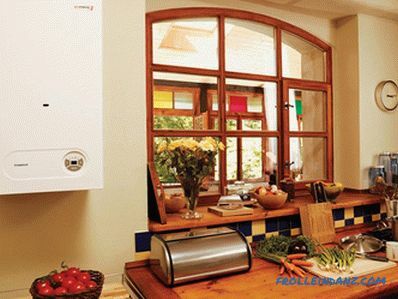 Fuel consumption directly depends on the power of the equipment and the load imposed on the heating system.To heat a house with an area of ​​250 m 2 , a 28-kilowatt condensing boiler with a maximum gas flow rate of 2. 85 m 3 / h will suffice. A classic boiler of the same capacity will consume 3. 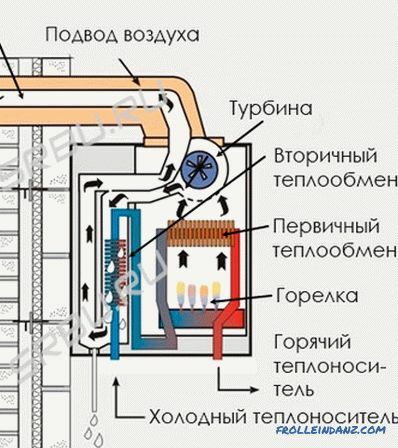 25 m 3 / h. Provided that the boiler is operated six months out of twelve, you will save about 3,000 rubles per year. 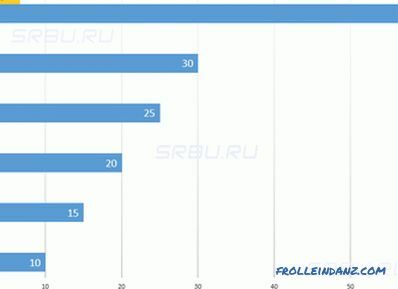 (at current prices for main gas for Russian consumers). It is probably difficult to call such savings significant - it does not even cover the difference in the cost of annual maintenance of boilers. But let's take a look at the situation through the eyes of an average European consumer, to whom natural gas costs four to five (or even more) times more expensive. The amount of savings in this case will be about 300 euros, but it is worth fighting for. When burning fossil fuels carbon dioxide gas when interacting with water. In addition, in any fuel there are always impurities of sulfur compounds, phosphorus, nitrogen and a number of other elements. During combustion, the corresponding oxides are formed from them, which, when combined with water, also produce acids. In conventional convection boilers, water vapors mixed with acids (coal, sulfuric, nitric, phosphoric) are released into the atmosphere. Condensation boilers do not have this disadvantage: acids remain in the condensate. However, given the problems with the disposal of condensate, the notorious environmental friendliness of this equipment may be questioned. For additional percents of heat energy, you have to pay. Technically, the condensing boiler is more complicated, and therefore more expensive. The cost of a good domestic condensate from a well-known manufacturer is several times higher than the cost of a classic unit of the same capacity. Of course, such equipment is purchased for more than a decade, which means that it makes sense to give preference to innovative technologies that increase operating comfort. 1. Premium class is designed for a few buyers. 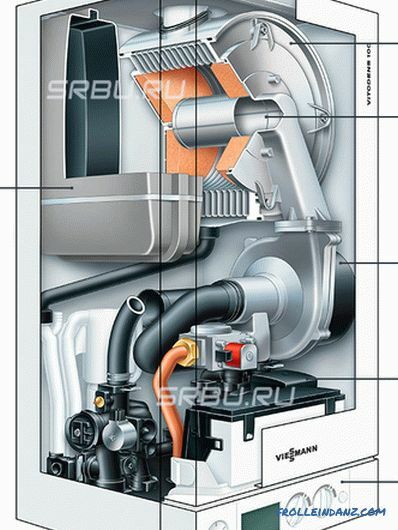 Premium class condensing boilers include, for example, German brand models. 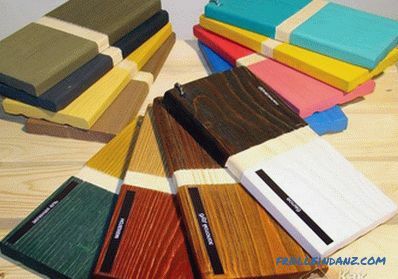 This equipment is efficient in operation and convenient in operation, meets European environmental standards, is made of high quality materials. 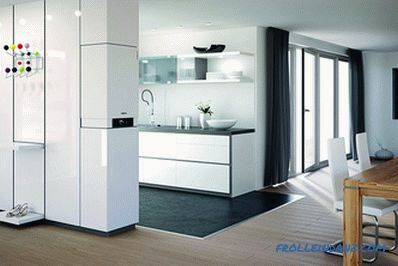 "Premium" boilers have many useful functions that significantly increase the level of comfort during their operation: programming of operating modes (for example, maintaining the room temperature at a minimum level in the absence of owners or a slight decrease in temperature at night), weather-dependent regulation, intelligent interaction with other heat generators , remote control using a special program on a mobile phone, etc. The only negative is the high price. 2. The middle class includes cheaper goods, but with somewhat more modest consumer qualities. These are economical and environmentally friendly units that meet all requirements and provide high performance. They are distinguished by a wide range of functions, and are equipped with an automatic control system that independently changes parameters depending on the temperature of the heat transfer medium and the air in the room. 3. Economy class is designed for those who are willing to accept lower levels of comfort for the sake of economy. "Mass" product always leads in terms of sales. The leading positions in the market of condensation boilers of economy class belong to Korean and Slovak companies. Their products are two or more times cheaper than premium models. Another advantage of this equipment is its adaptation to Russian conditions of operation. Low cost condenser units with simple functionality quietly tolerate interruptions in power supply and pressure drops when expensive automation stops working. Evaluating your financial capabilities, you need to take into account the inevitable costs of installation and commissioning of equipment, which will also cost you very, very expensive. It should be remembered that during operation the condensing boiler provides gas savings.However, this saving is so illusive that the investment will not pay off soon. This means that before buying condensation heat it is worth making a preliminary assessment: whether the cost of the fuel saved will justify the high price of the equipment. The positive economic effect from the acquisition of such a boiler should be expected only under certain conditions - if it is installed in a permanently designed new (read "under construction") house with an organized low-temperature heating system of underfloor heating. The magnitude of the effect directly depends on the average winter temperature, i.e., on the region where the house is located (the principle is simple: the more heat is required, the more sense in this technique). The heat exchanger is a technically complex and expensive element. In the event of its failure, you, as they say, "get on the headstock." For the money that you spend on the purchase of a new heat exchanger and to pay for the work of replacing it, you could easily purchase a new convection boiler of the same capacity. It follows from this that it is necessary to carefully monitor the condition of the heat exchanger. Rinse it when it clogs, it will be extremely difficult. When installing a condensing boiler, it is necessary to conduct an audit of the entire heating system - there should not be rusty pipes and radiators in it. The safety of the heat exchanger depends on the quality of the coolant used. The water must be soft, otherwise the tubes will quickly build up inside the scale. The presence of rust, foreign matter, calcium and iron salts in water is unacceptable. Since condensate contains acids, the heat exchanger must be able to withstand their effects. Most often, heat exchangers are made of silumin and high-grade stainless steel. The heat exchanger from silumin is produced by casting metal. Due to the lower cost of material and production technology, these heat exchangers are cheaper compared to stainless steel heat exchangers. But these heat exchangers have a disadvantage - they are less resistant to aggressive acid environments. 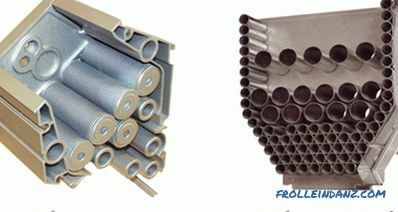 Heat exchangers made of stainless steel are made by welding individual parts. The final cost of such heat exchangers is higher than that of silumin ones. However, they better withstand the acidic environment and add reliability to the equipment. The promised efficiency of 108-110% can be obtained not always - the real figure depends on the heating system. There are two fundamentally different types of heating systems - high temperature and low temperature. They differ in the temperature range of the coolant at the inlet and outlet of the heat generator. 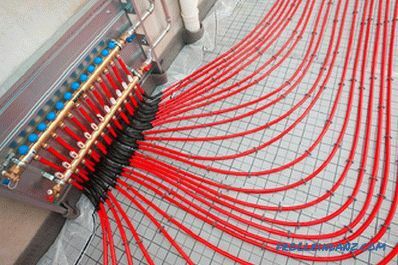 In conventional high-temperature heating systems, the ratio of the temperature of the supplied water and the water in the return circuit is usually 75-80 ° C to 55-60 ° C. A system with a condensing boiler is effective only in low-temperature mode, i.e. when the ratio of supply and return temperatures is 50-55 ° C to 30-35 ° C. This ratio is ideal if the heating of the home is carried out with the help of warm floors. 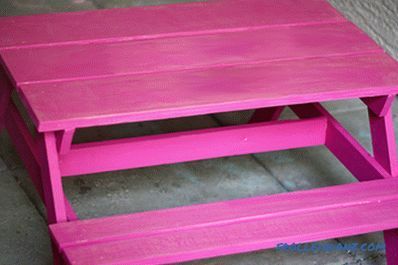 Otherwise, to warm the room, it will be necessary to install additional radiators with an increased by 2. 5-3 times the useful surface area calculated for the heat carrier temperature not higher than 50 ° C.
The efficiency of the condensing boiler is determined primarily by the temperature of the coolant at the inlet. The reason is simple: the lower the temperature of the water in the return circuit, the more intense the condensation occurs. The efficiency of the boiler in a low-temperature heating system (inlet / outlet temperature is about 30/50 ° C) can reach those same 108-110%. If such a boiler is made to operate in a high-temperature system (60/80 ° C), then there will be no condensate, and the efficiency will drop to 98-99% - this is more than conventional convection boilers, but less than it could be. 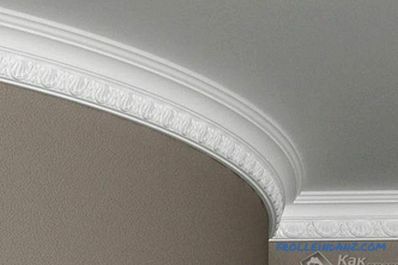 Thus, if you want to extract the maximum benefit from the condensate, the decision on its installation must be made at the design stage of the house. If you buy such a boiler for an existing house with an existing heating system, this means the inevitable reconstruction of the building, replacing the high-temperature radiator heating system with a low-temperature system of underfloor heating (and such large-scale repair is again a considerable expense, and the economic effect of the whole venture is lost). The use of a condensing boiler involves the disposal of condensate. And the latter is formed in considerable quantities - one liter of a cubic meter of burnt gas. For example: a boiler with a capacity of 25 kW per hour consumes about 2. 8 m 3 gas, i.e. in just one hour of its operation, slightly less than 3 liters of condensate stand out, a day - 70 liters. Recall that condensate is a solution of acids, which means that the question of where to put it is not at all idle. Well, if your house is connected to a centralized sewer system. Even under strict European standards, boilers with a capacity of up to 28 kW do not require special condensate utilization. It is assumed that such a quantity of condensate is diluted sufficiently with household wastewater in order not to harm sewer pipes. But what about the owners of private houses with autonomous sewers? 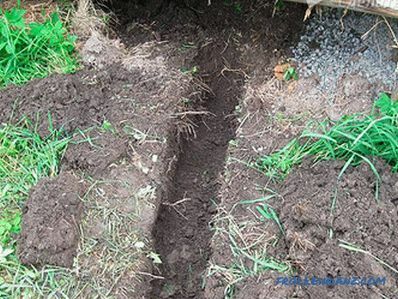 It is impossible to pour into the septic tank - the beneficial (and expensive) bacteria will die. It is unacceptable to dump on the ground - soil salinization will occur, and over time nothing will grow in this place. Disposing of 70 liters daily for recycling is extremely difficult. Only one way out - to provide its own separate system to neutralize the acids contained in the condensate. In the West, where the requirements for compliance with environmental standards are more stringent than ours, a catalytic converter is automatically acquired when installing a condensing boiler. An important point that you should pay attention to if you want your boiler to function normally - removal of combustion products and access of combustion air. One of the differences between condensing boilers and convection boilers is the use of a closed-type combustion chamber. Convection boilers take air from the room, condensation - from the street. In the first, natural air circulation (convection) is used to saturate the air-fuel mixture with oxygen, and in the second, a fan is provided that forces air to the burner. Removal of combustion products in them, by the way, is also carried out forcibly. Air masses are circulated, usually through a coaxial chimney, which is a "pipe in pipe" structure. The intake air moves through the external cavity of the chimney, the exhaust products of combustion - through the internal. From all this it follows that condensate traps must be very sensitive to the quality of the intake air. The presence of a significant amount of dust in the air leads to rapid wear of the turbine (fan). Not only cleanliness, but also outdoor air temperature is of great importance for the normal functioning of a condensing boiler. If air enters the system through a coaxial chimney pipe, then, as practice shows, the air intake duct in winter, in cold weather, can frost up, because the temperature of the exhaust flue gases is quite low and they are not able to warm the walls of the chimney. This leads to a decrease in the supply of oxygen necessary for the combustion of the fuel, and, as a consequence, to a decrease in the equipment efficiency. To prevent this from happening, and you do not have to periodically warm the pipes to free them from the frost, certified service technicians should deal with the system calculation, installation, start-up and adjustment. To adjust the parameter responsible for the flow of air in the quantity necessary for burning fuel in the boiler of a given power, they use a gas analyzer. Without such special equipment, the required efficiency from the boiler cannot be achieved. In addition, residents of areas with harsh climatic conditions, when deciding to install a condensing boiler, should ask the manufacturer’s representatives for clarification on the possibility of operating such equipment at a given range of local outdoor temperatures.